As Times Square is at the crossroads of the world, a component of the project mission was to introduce the brand to a broad international audience. The fluid and organic LED façade weaves its way in and out of the building – bringing the outside experience inside. The store strikes a balance between the familiarity of its typical mall stores and a distinctly New York vibe in order to not alienate Aéropostale’s core mall customer. New York City iconography was integrated into the design in a holistic manner without abandoning Aéro’s classic collegiate roots. The challenge was to harmoniously blend in the NYC icons while avoiding blatant kitsch. 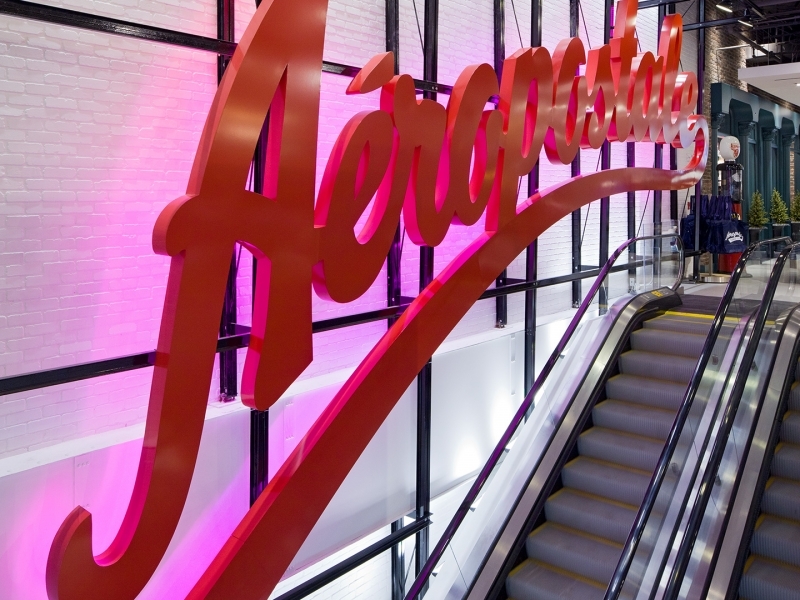 The script vintage style Aéropostale sign along the escalator to level 2 was inspired by the landmark Pepsi-Cola sign in Queen’s facing Manhattan.